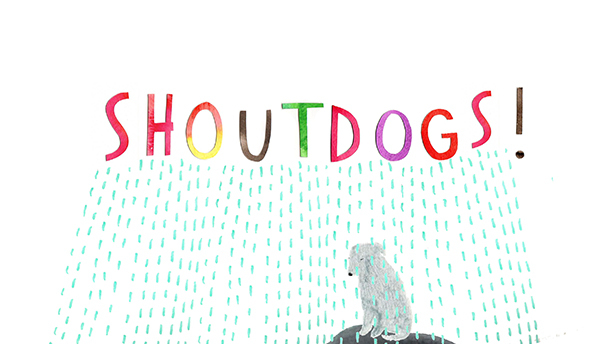 I started the Shoutdogs! 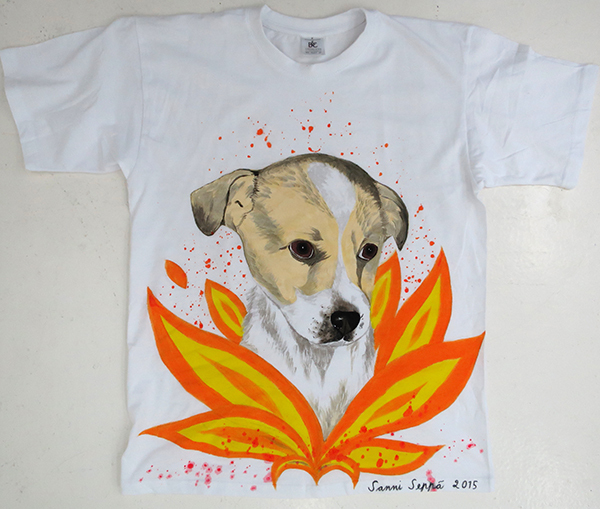 project to benefit Romanian street dogs. 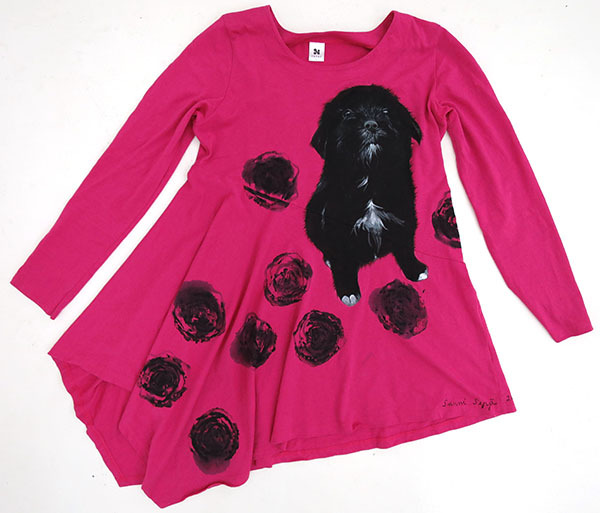 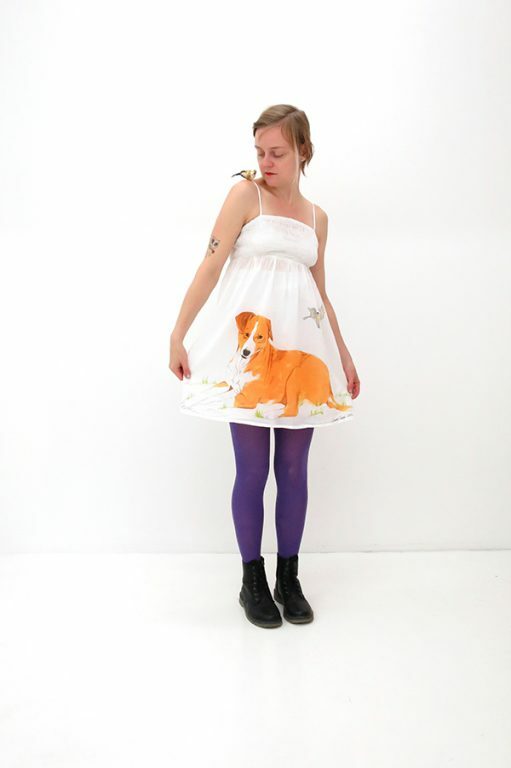 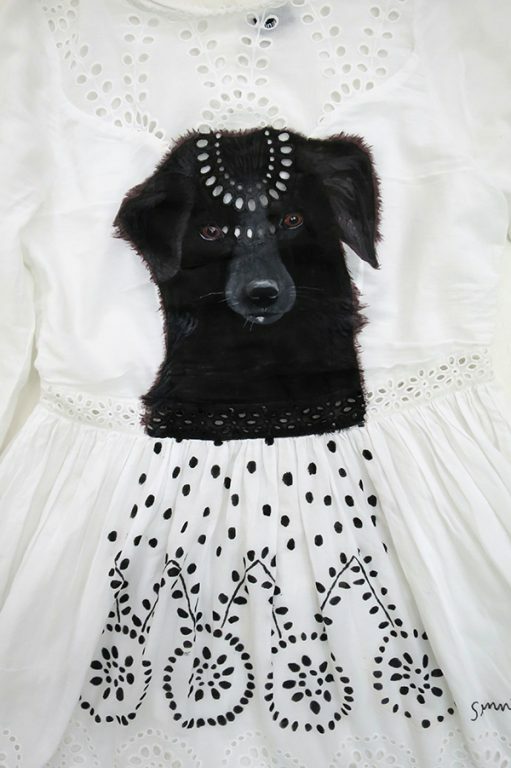 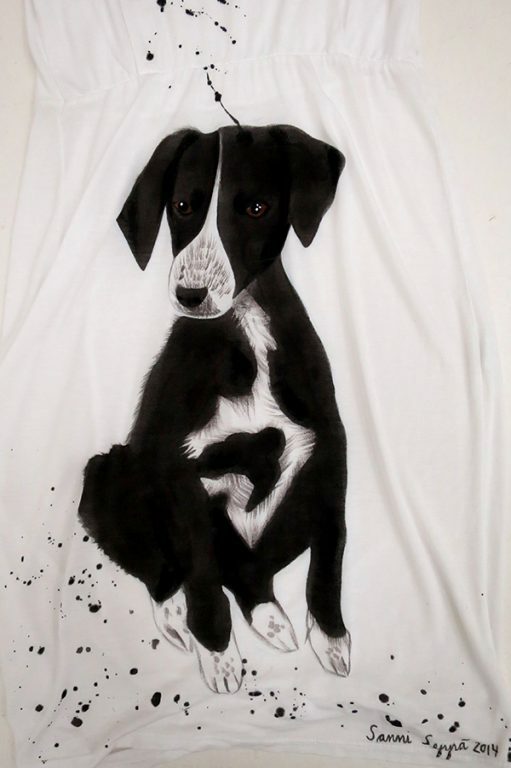 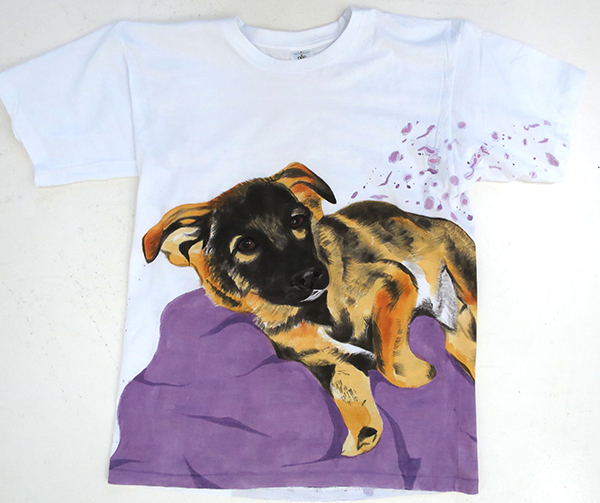 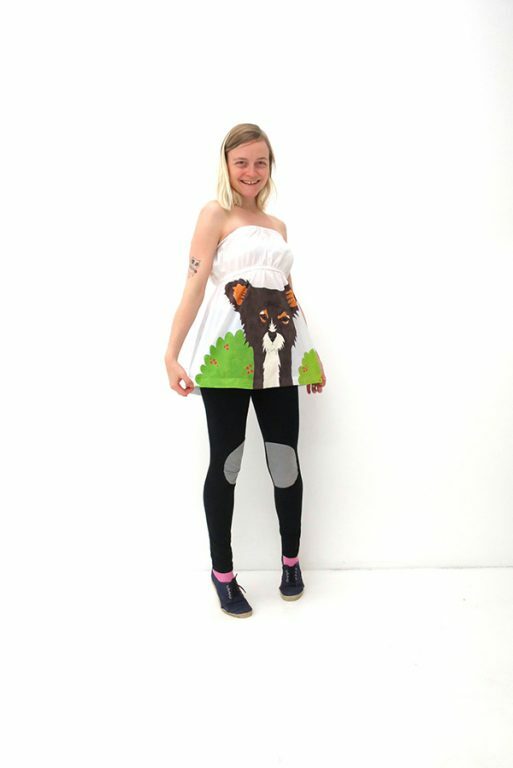 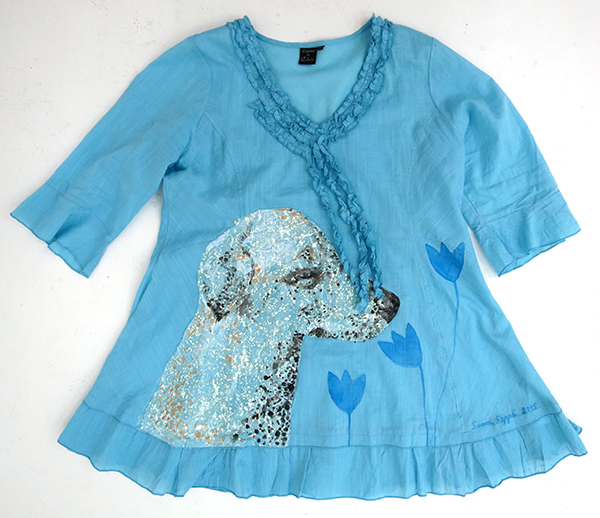 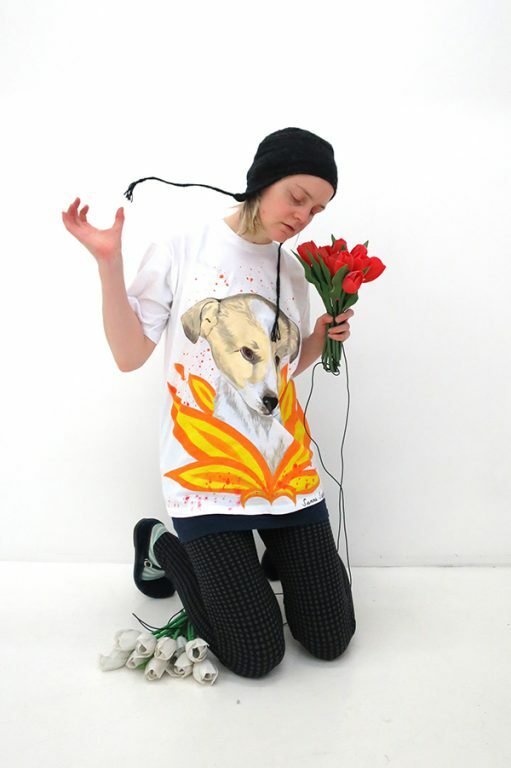 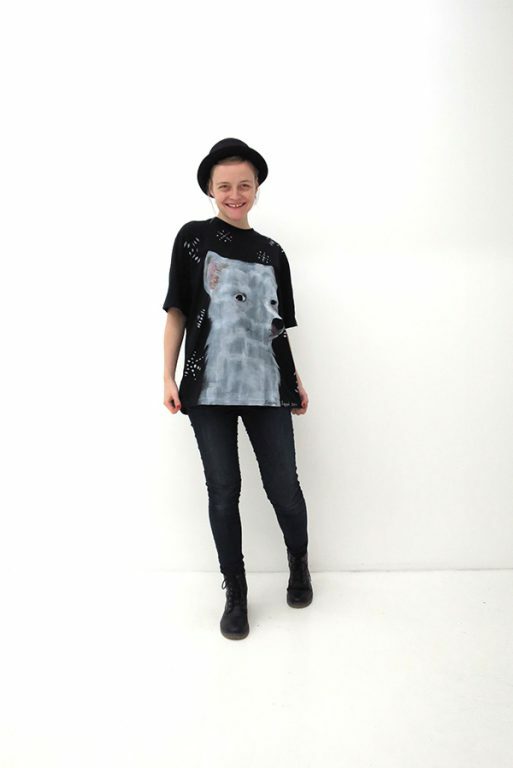 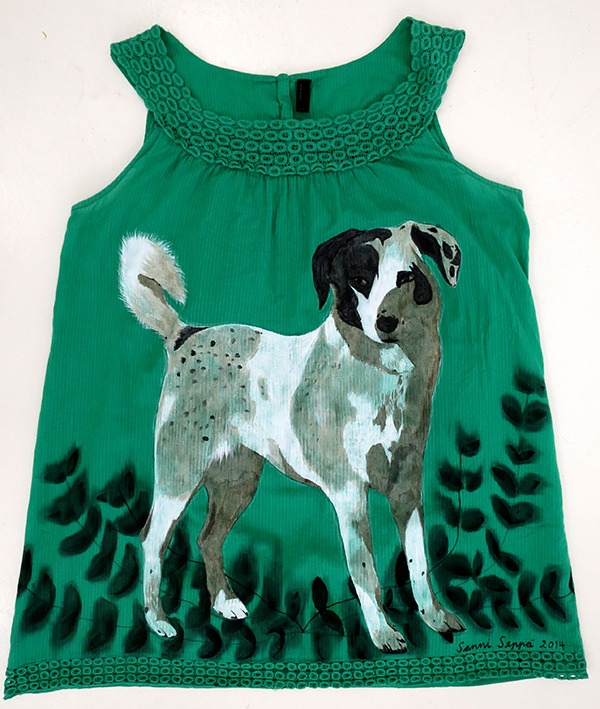 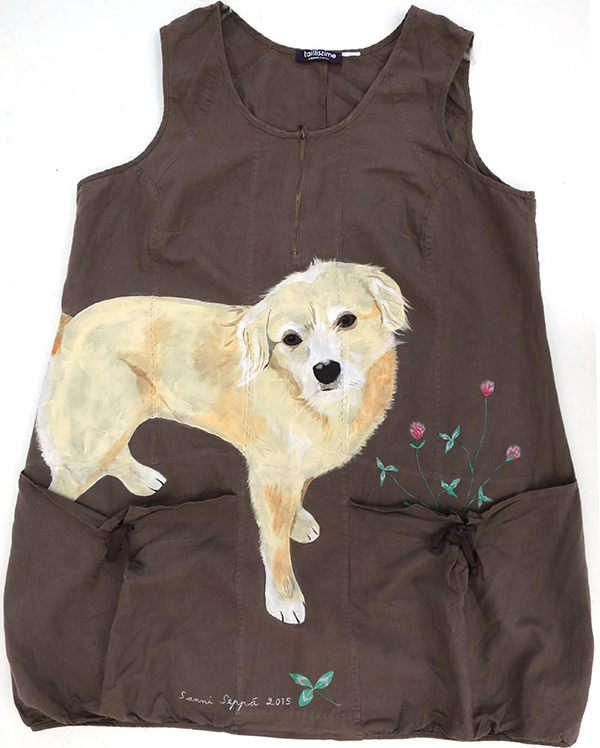 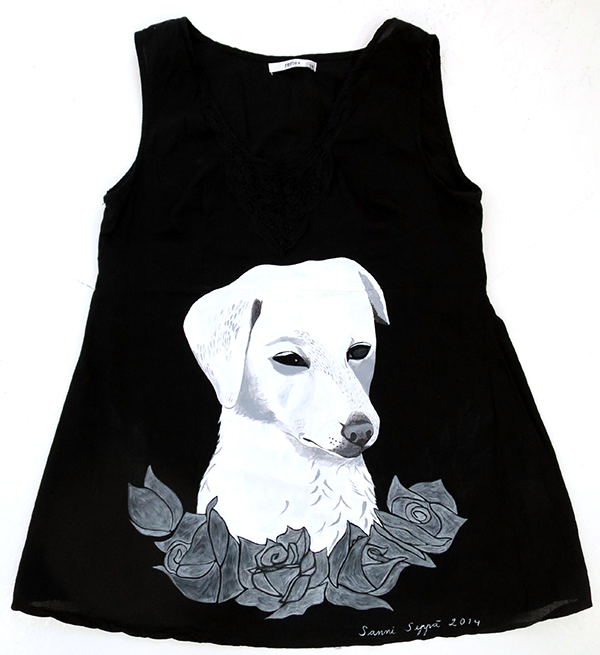 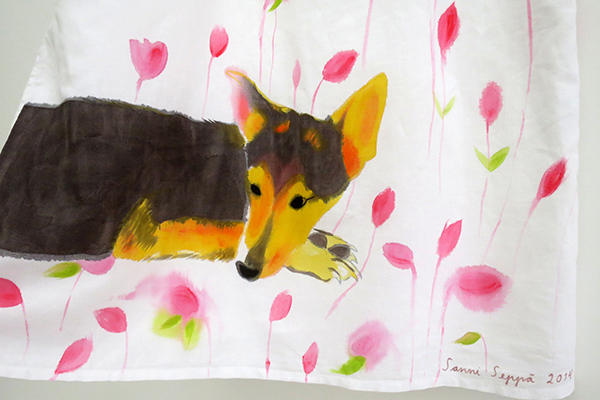 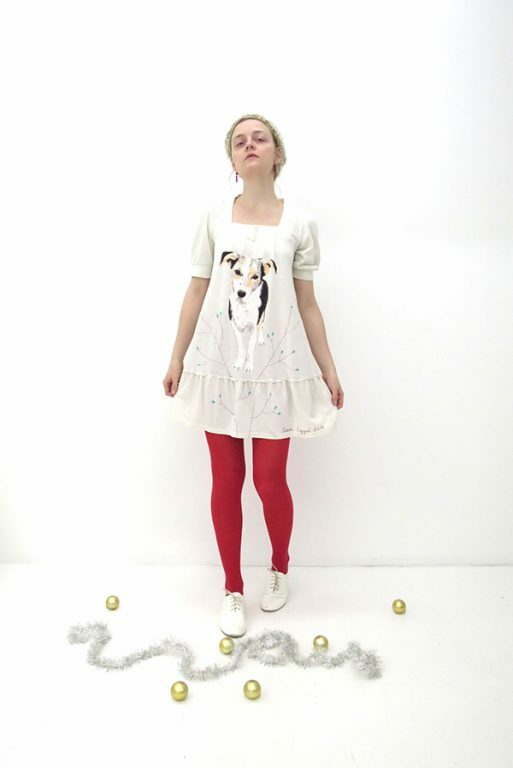 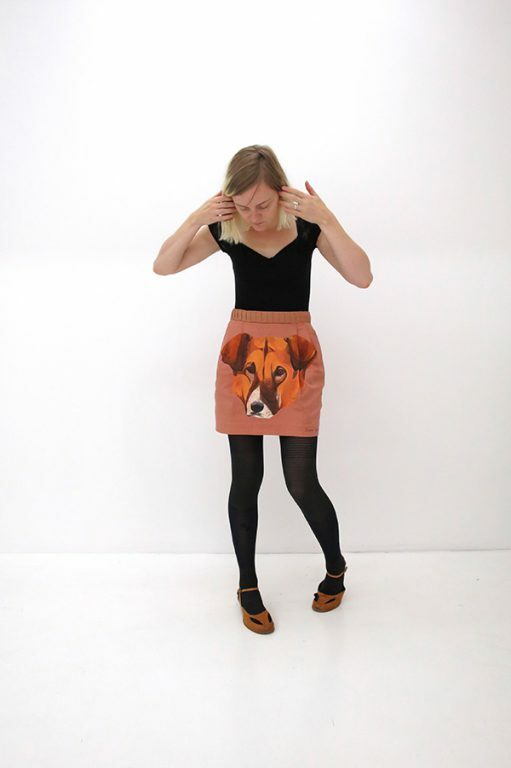 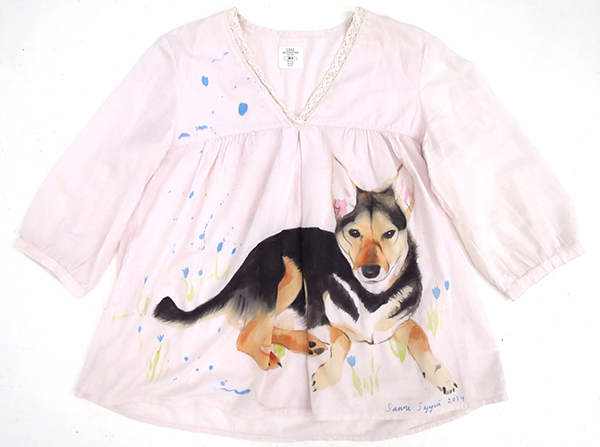 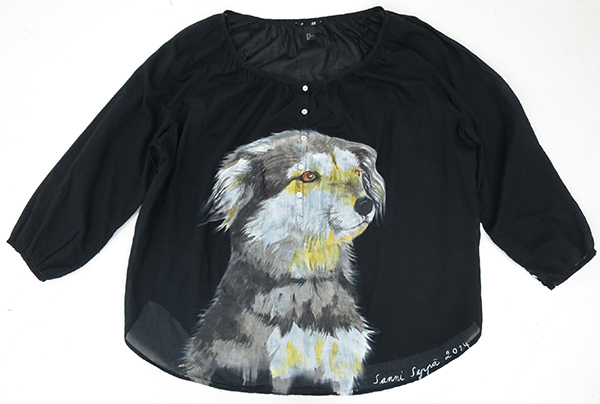 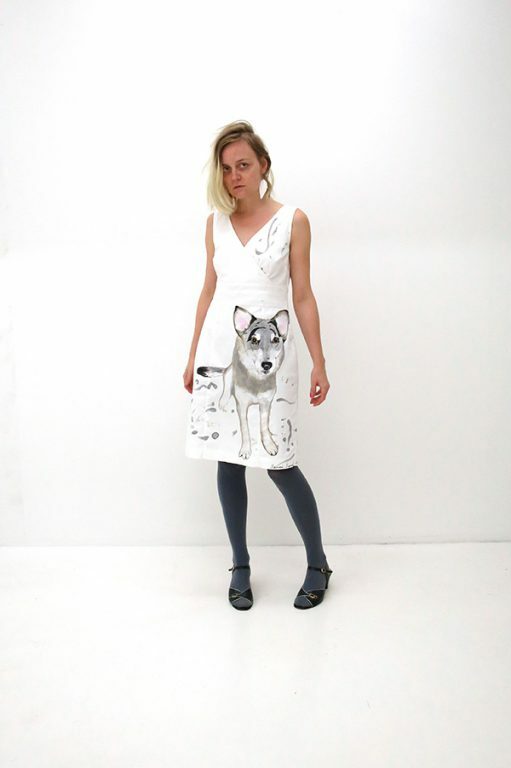 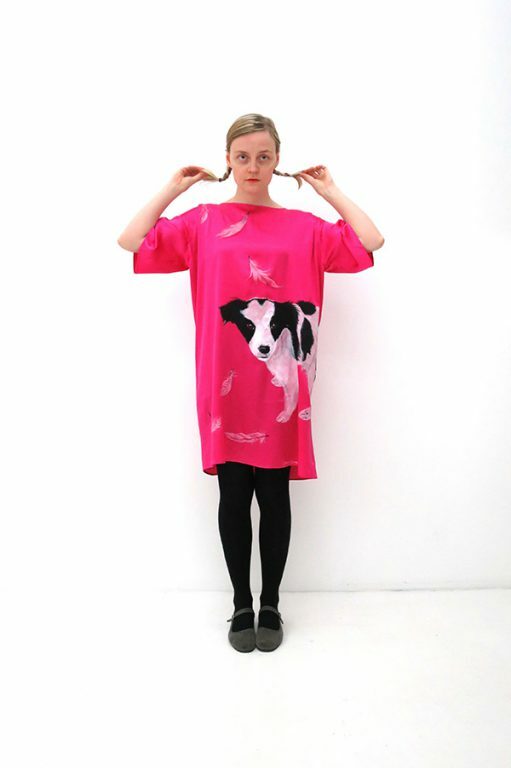 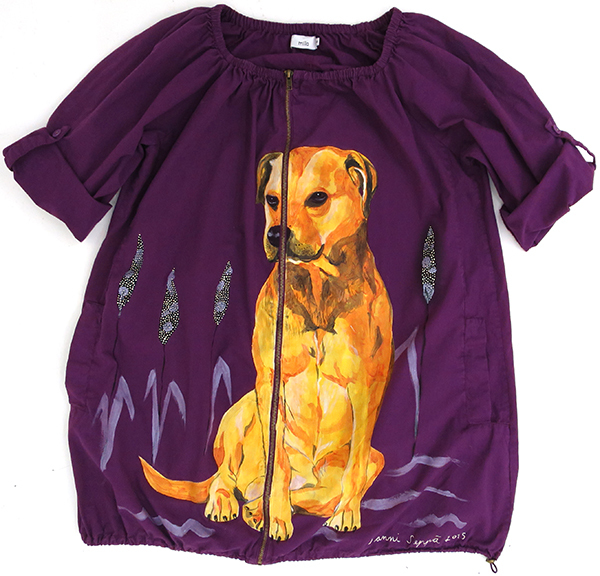 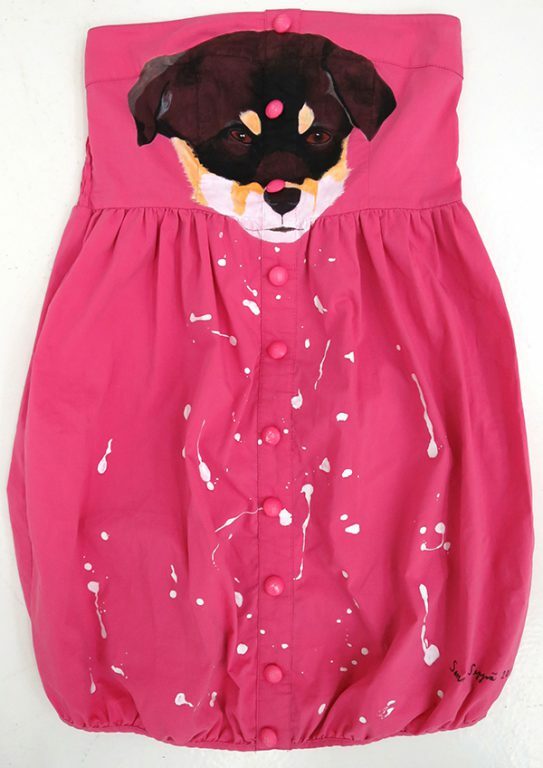 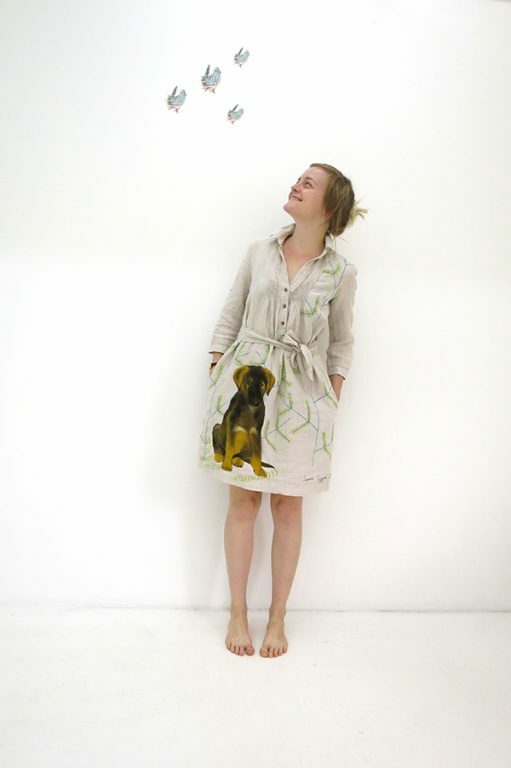 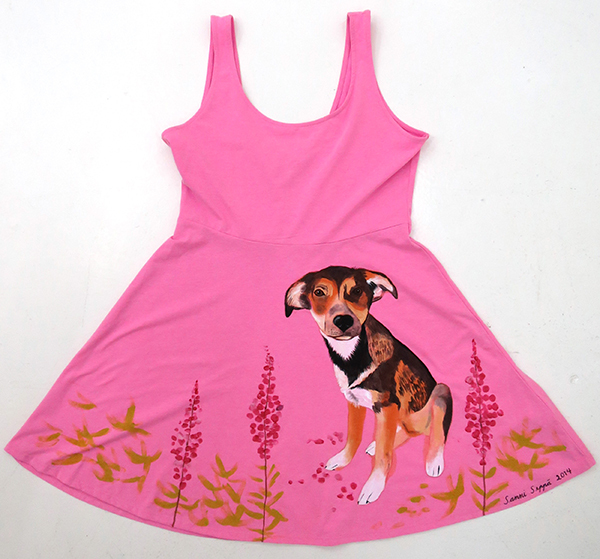 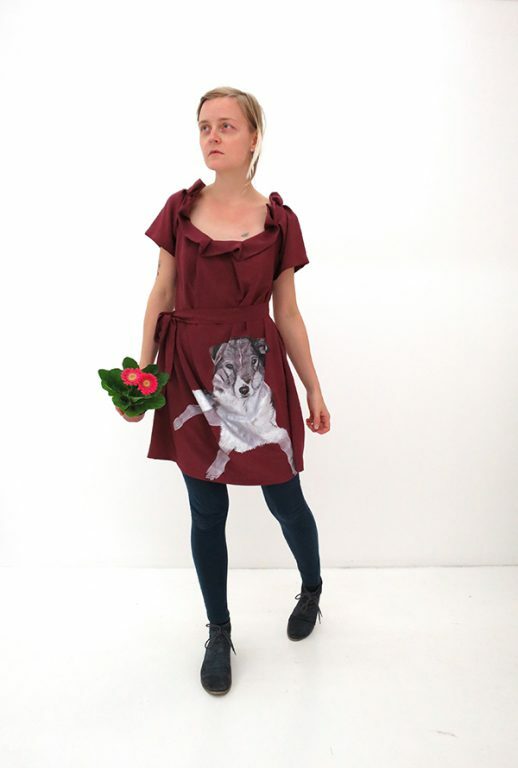 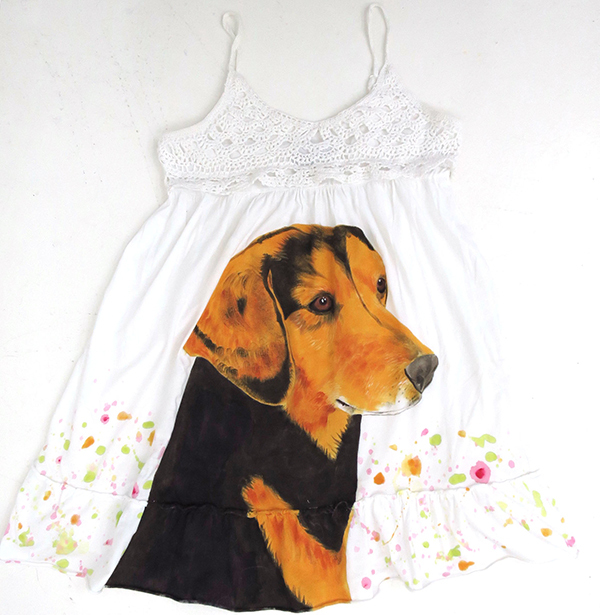 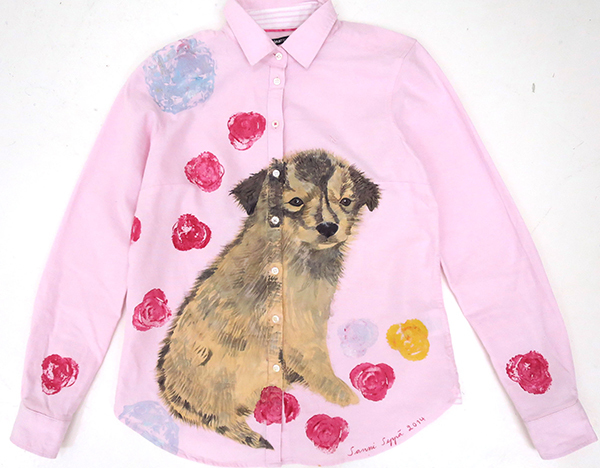 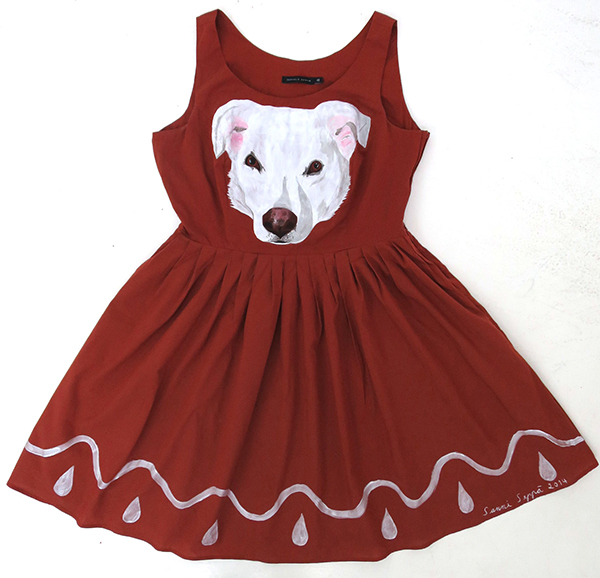 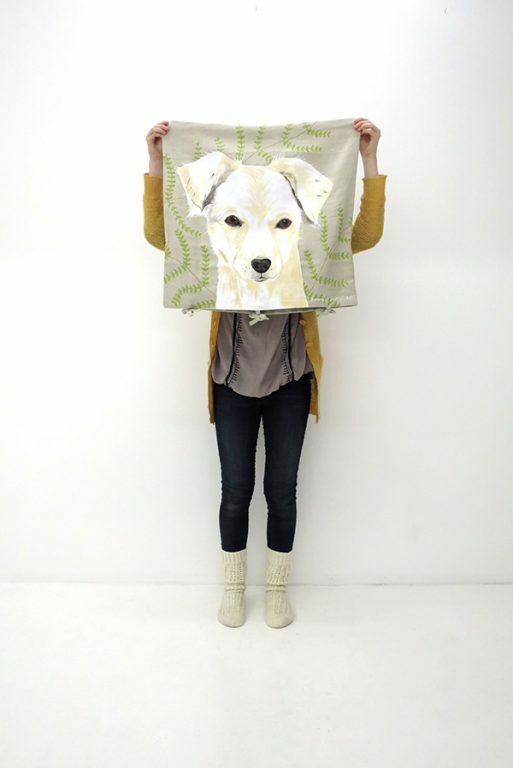 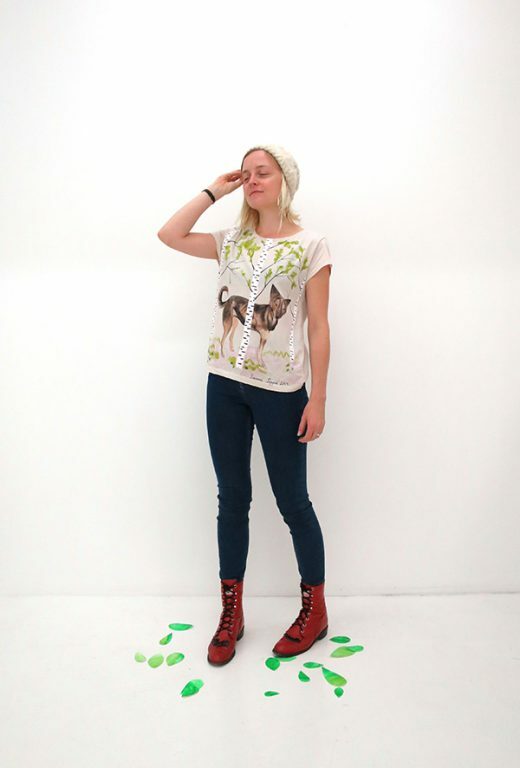 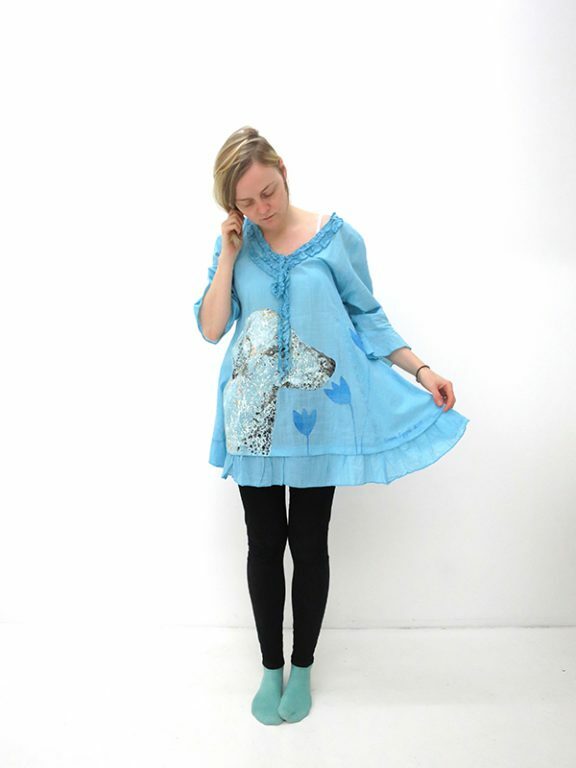 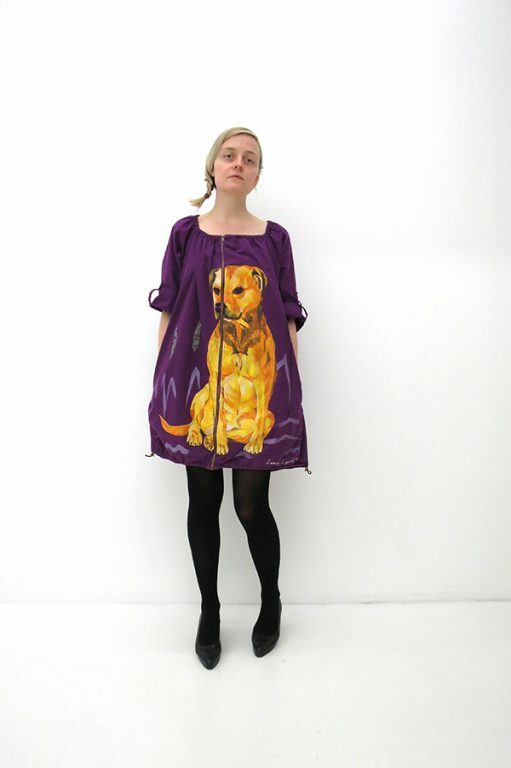 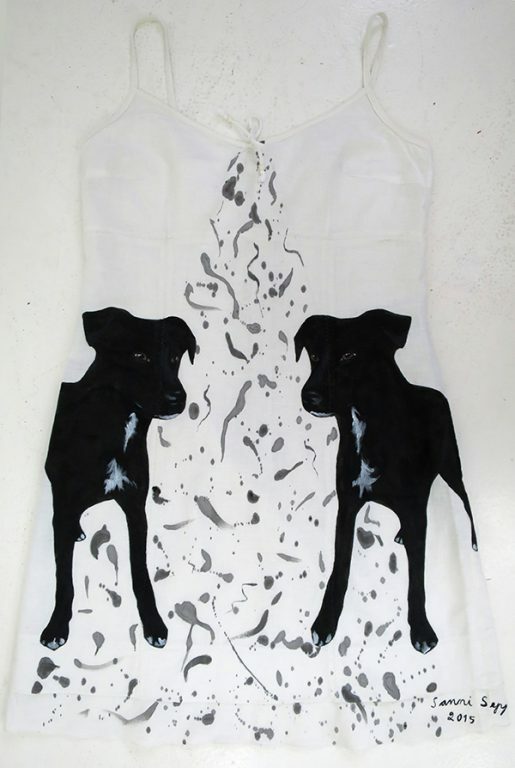 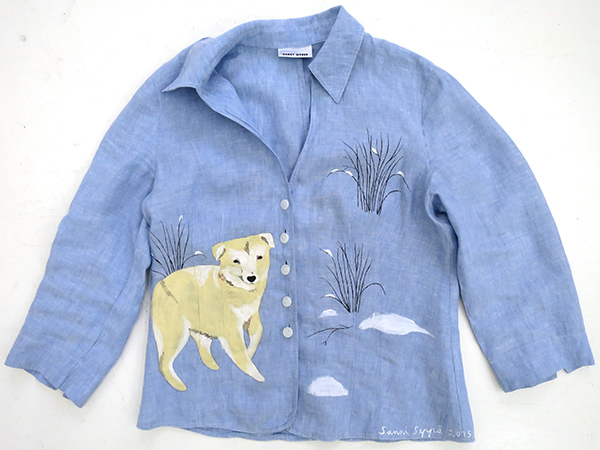 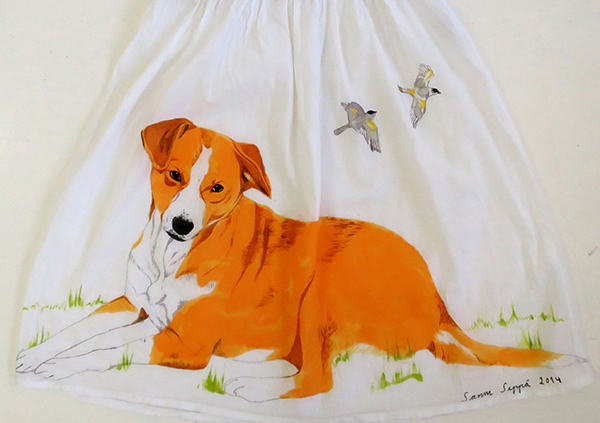 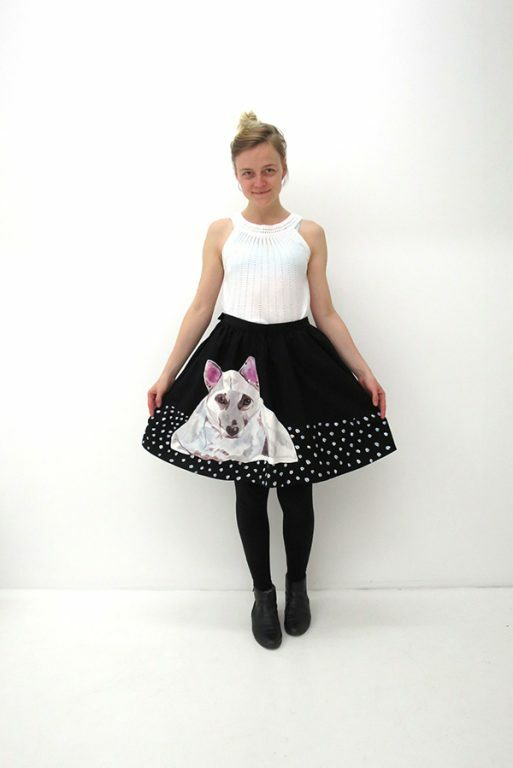 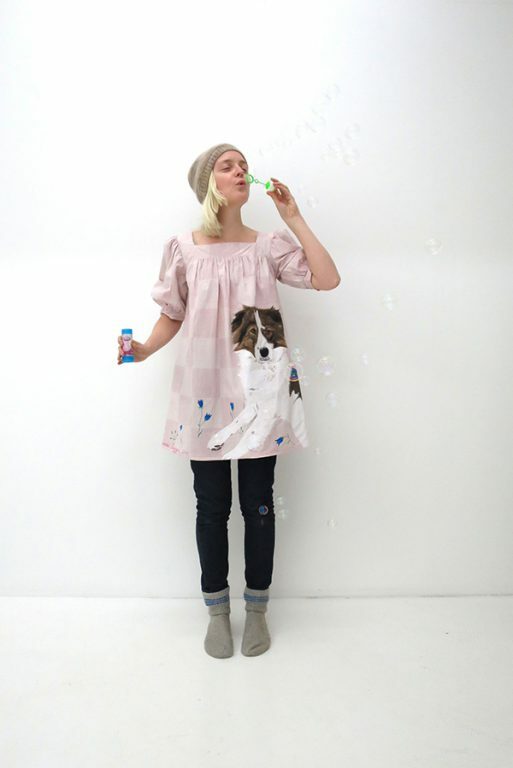 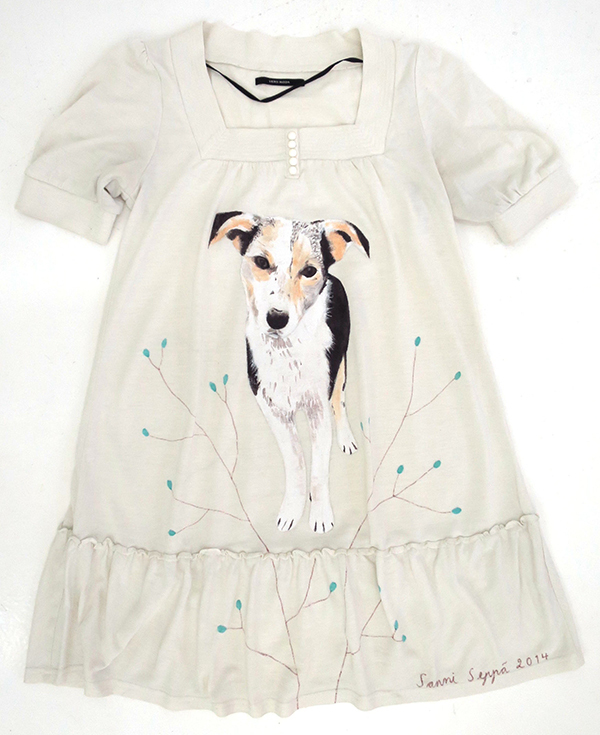 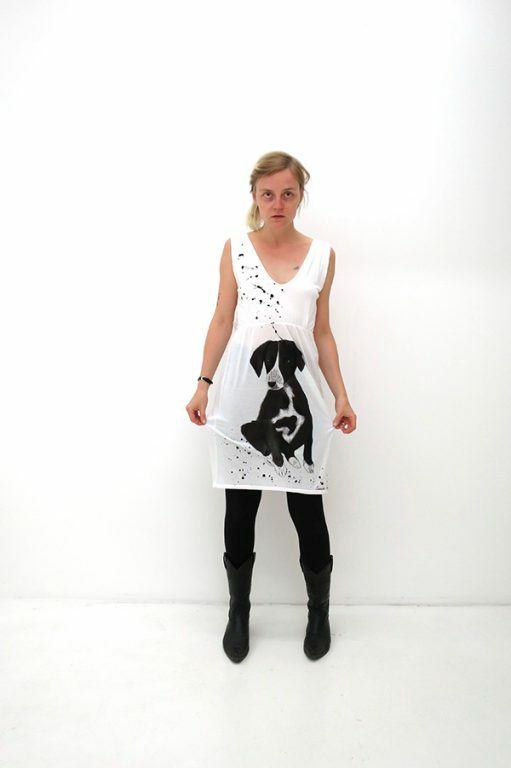 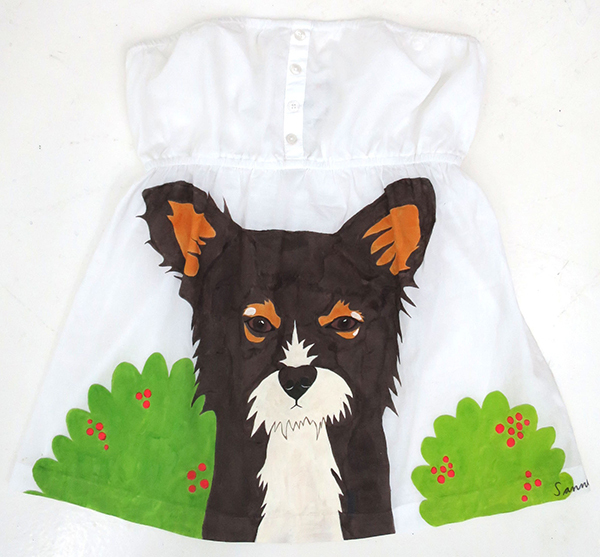 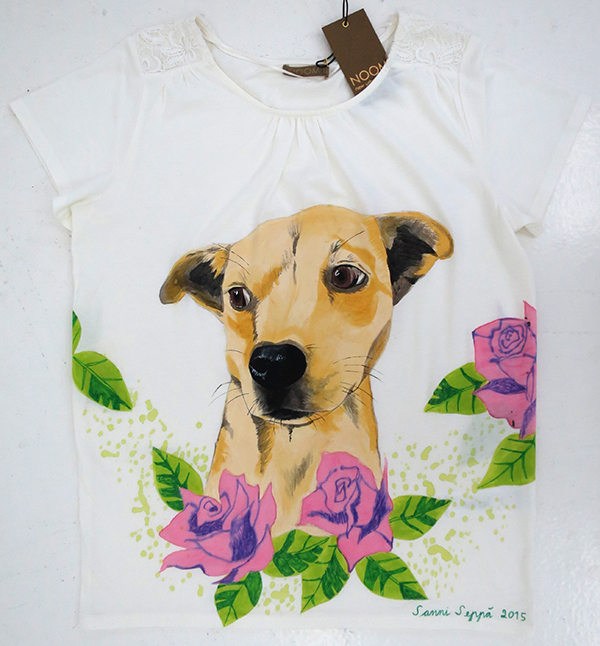 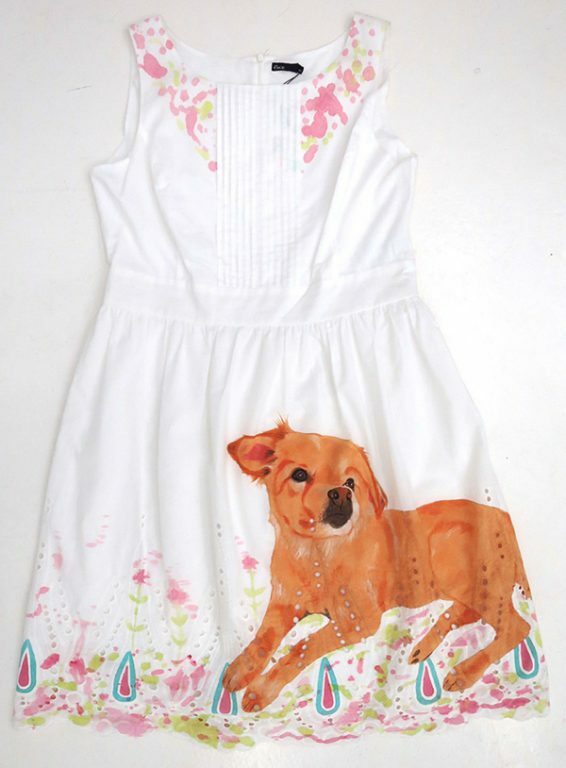 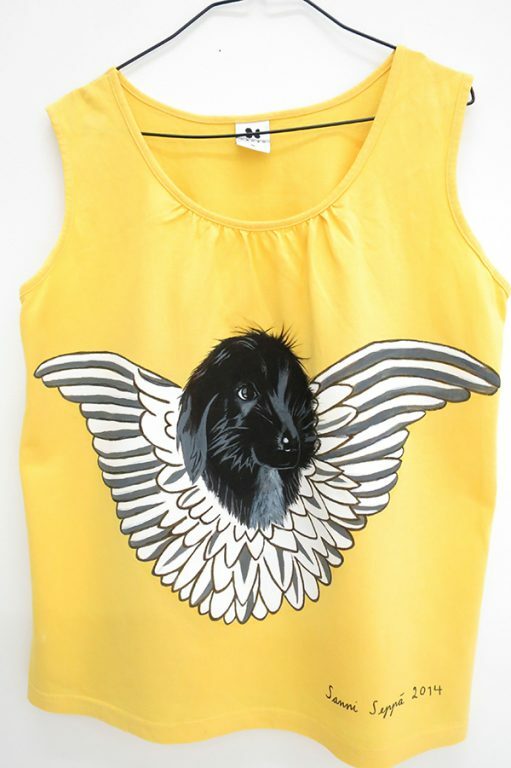 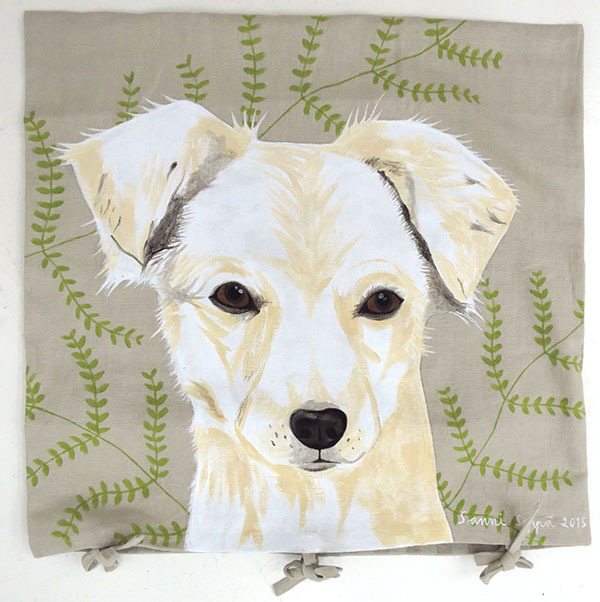 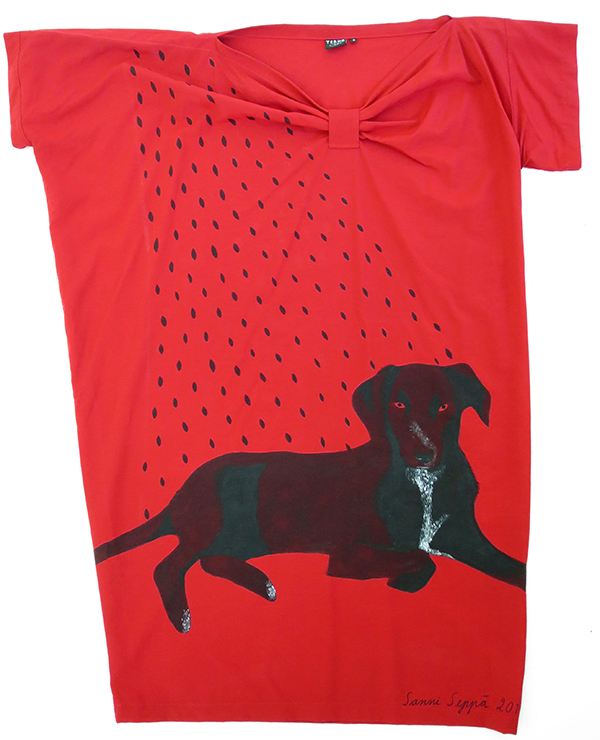 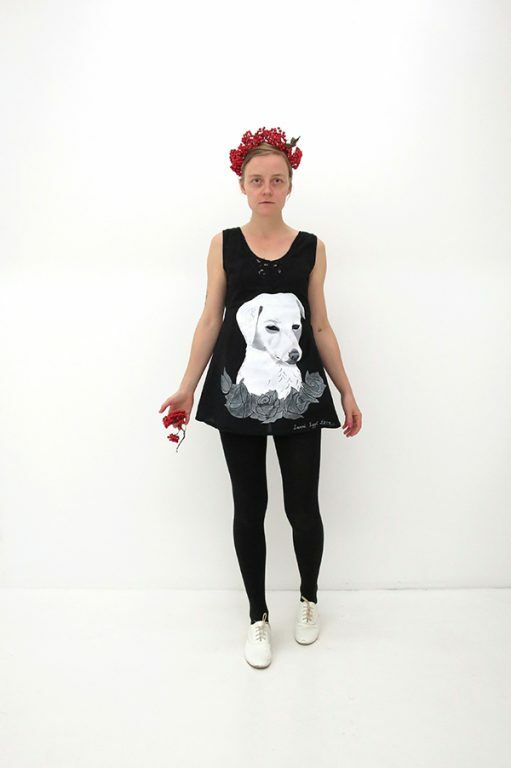 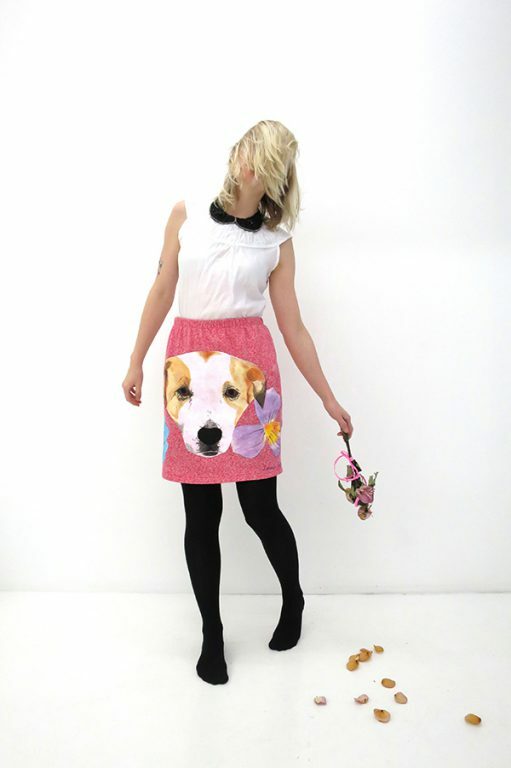 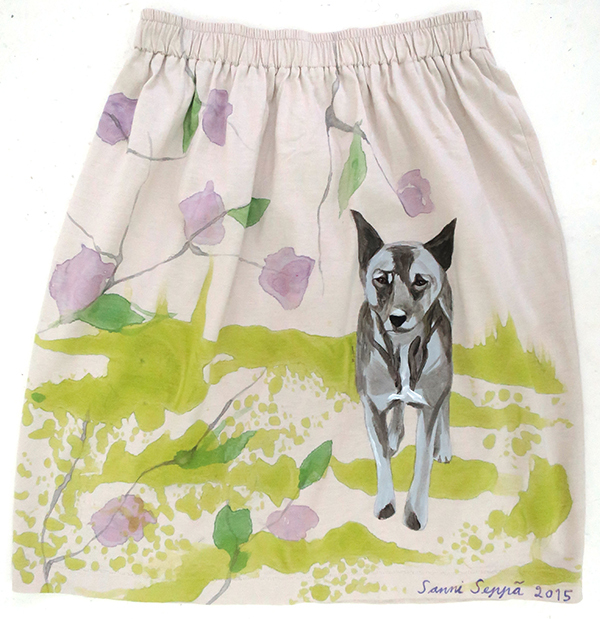 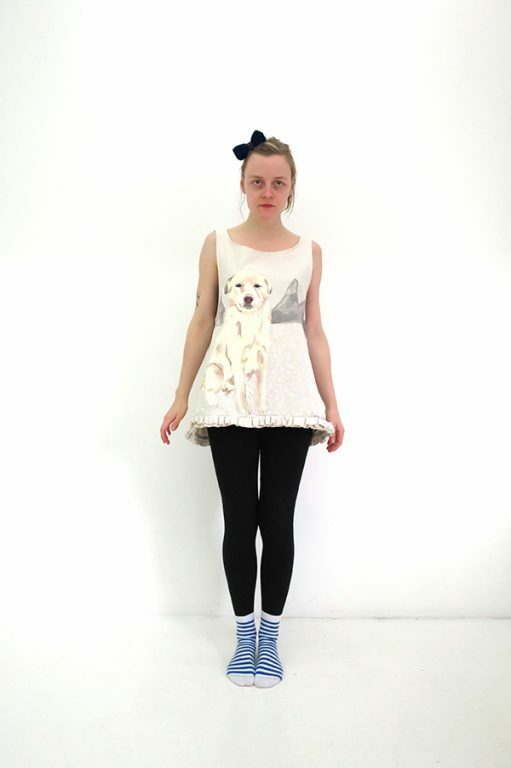 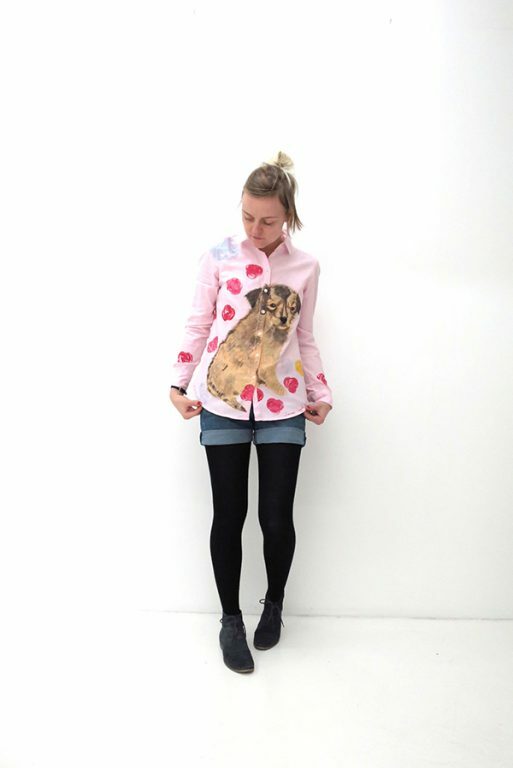 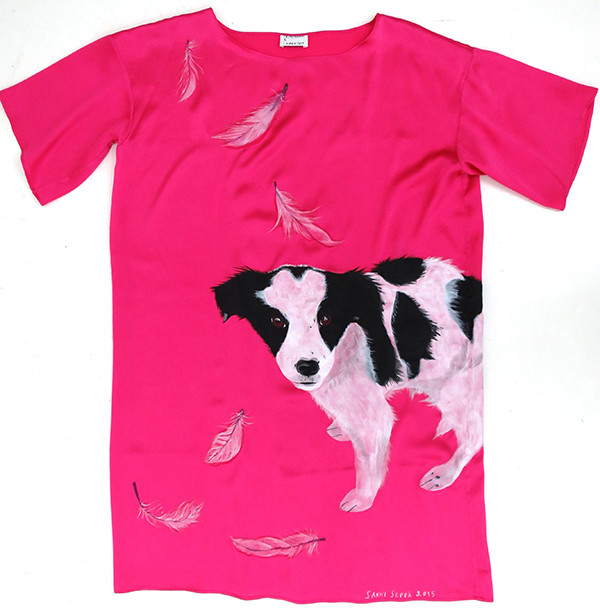 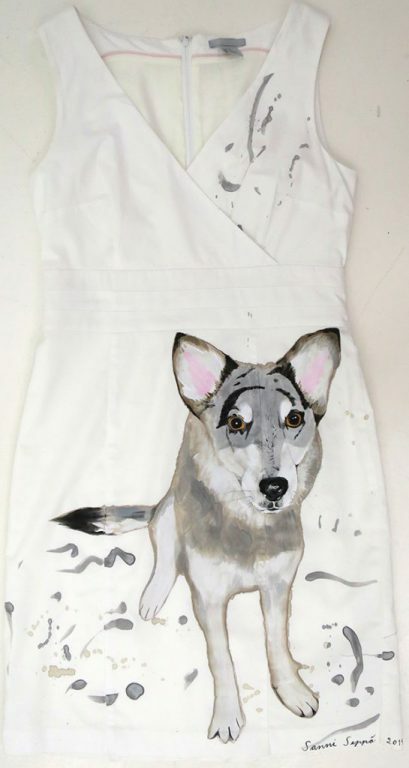 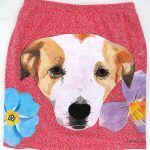 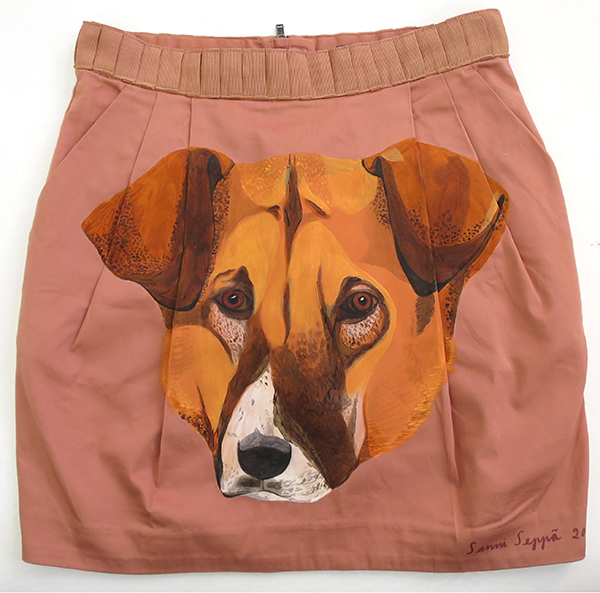 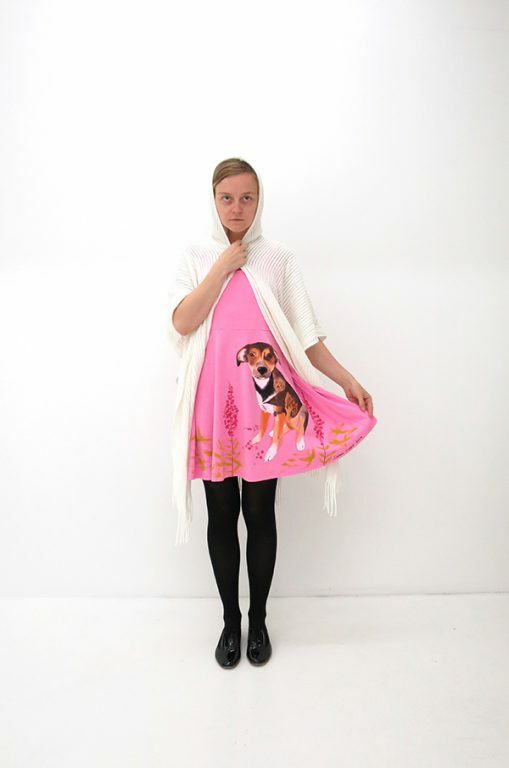 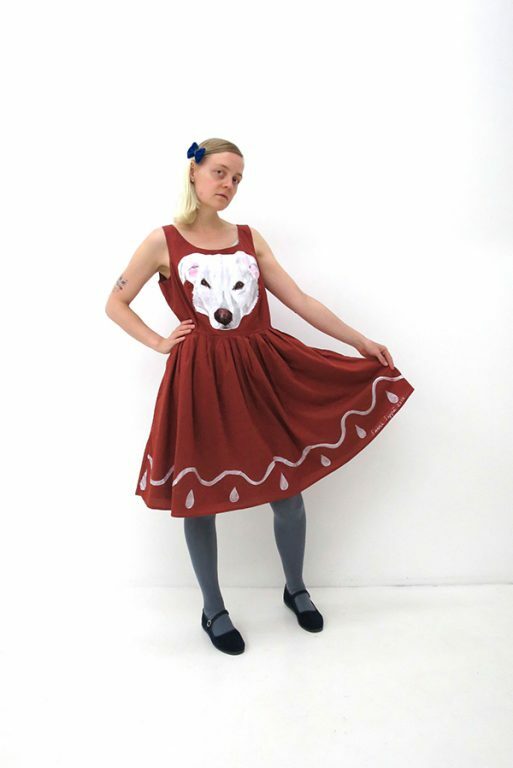 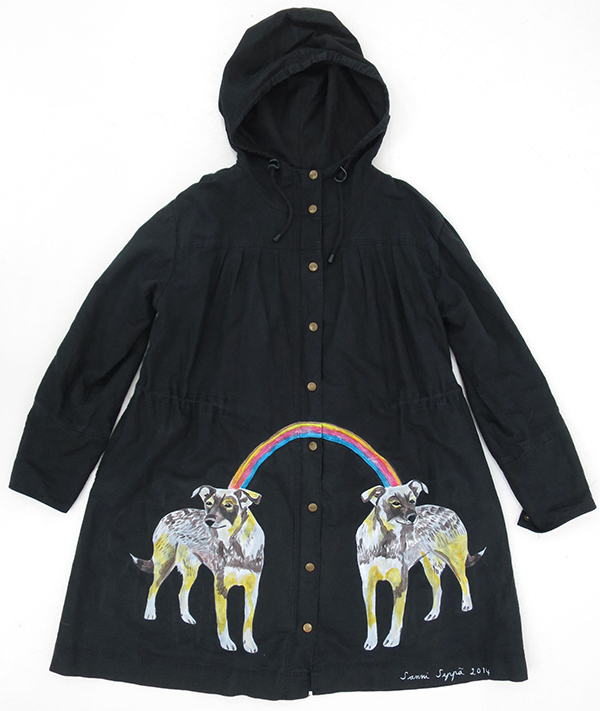 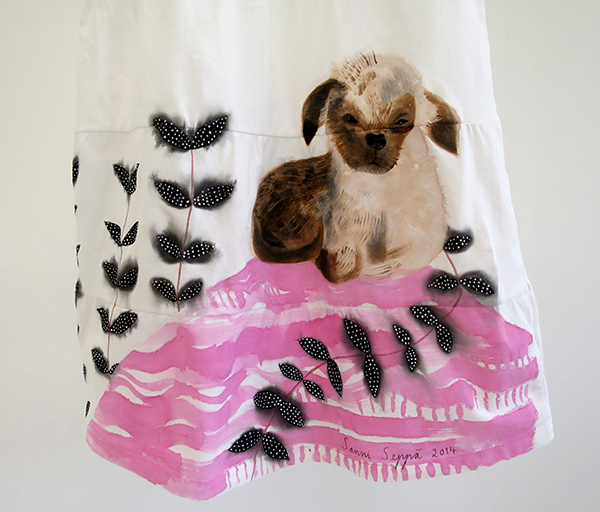 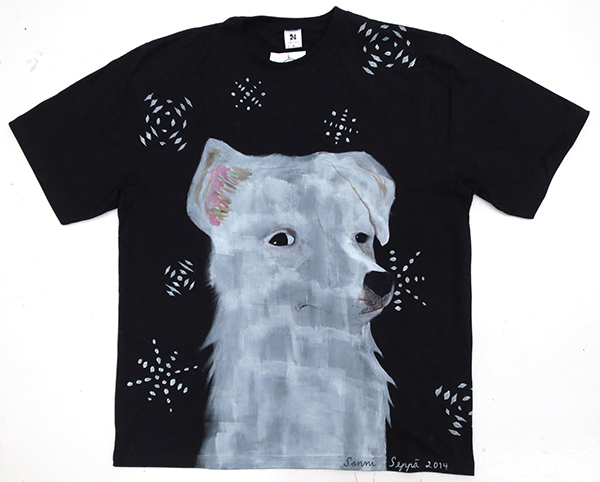 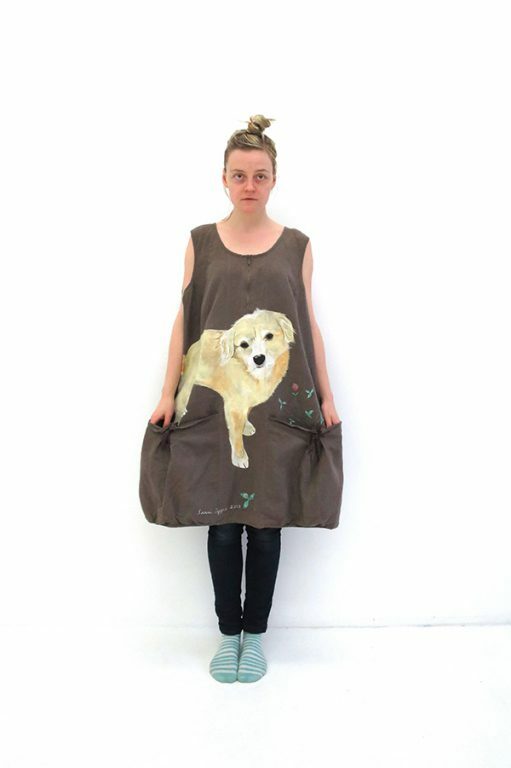 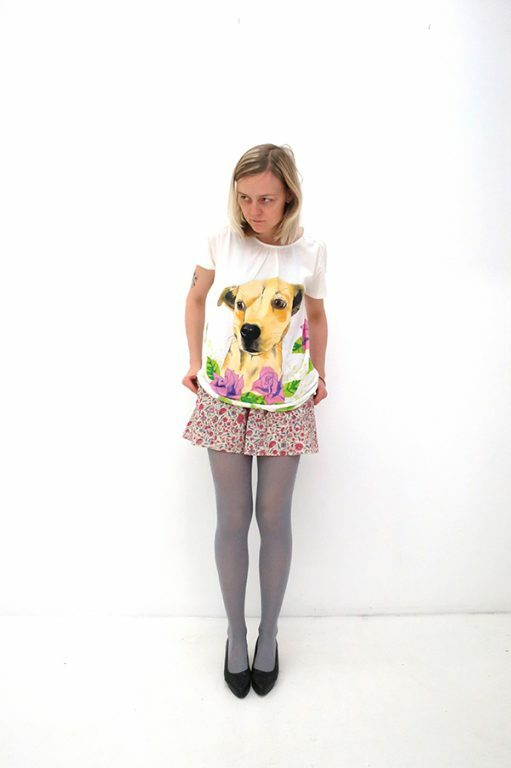 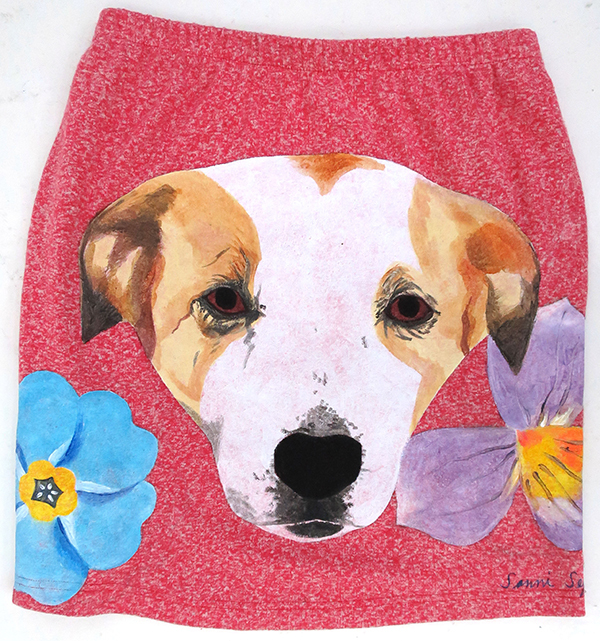 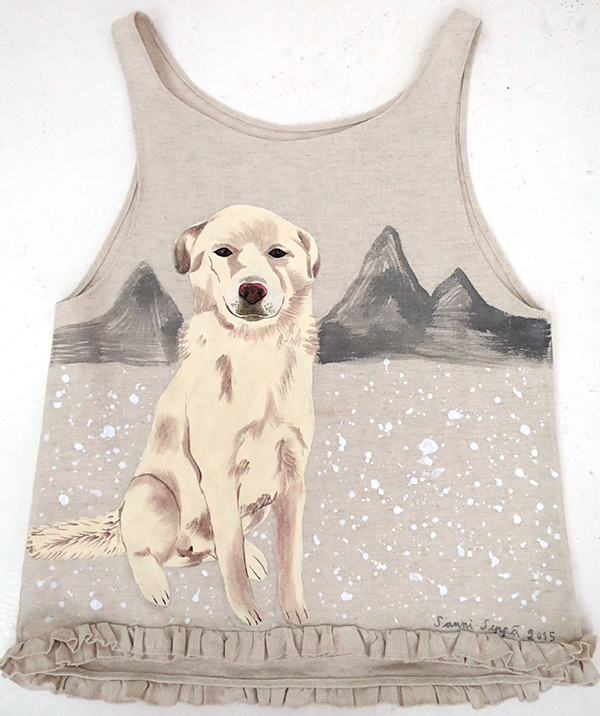 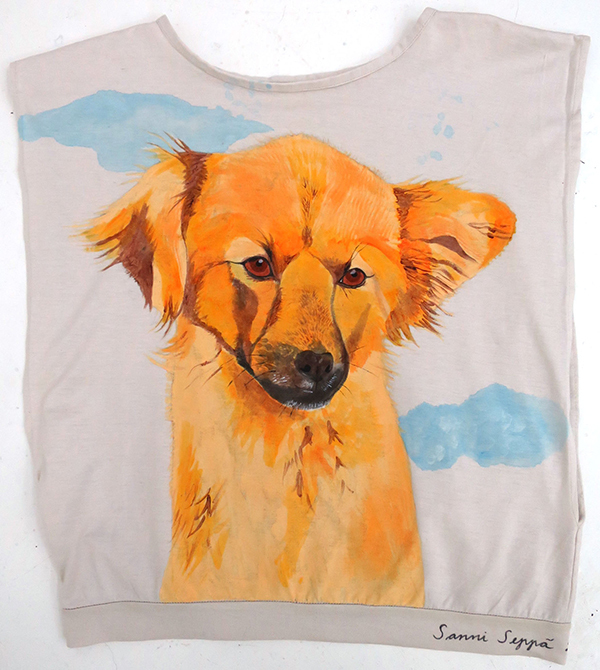 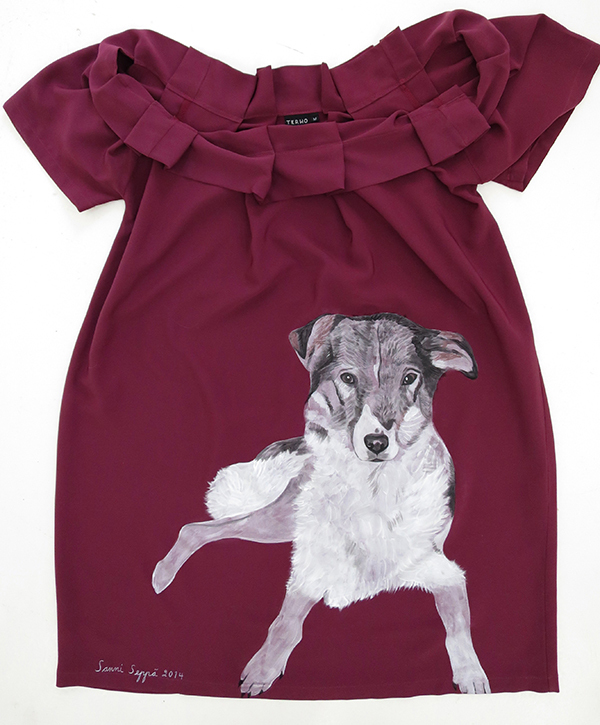 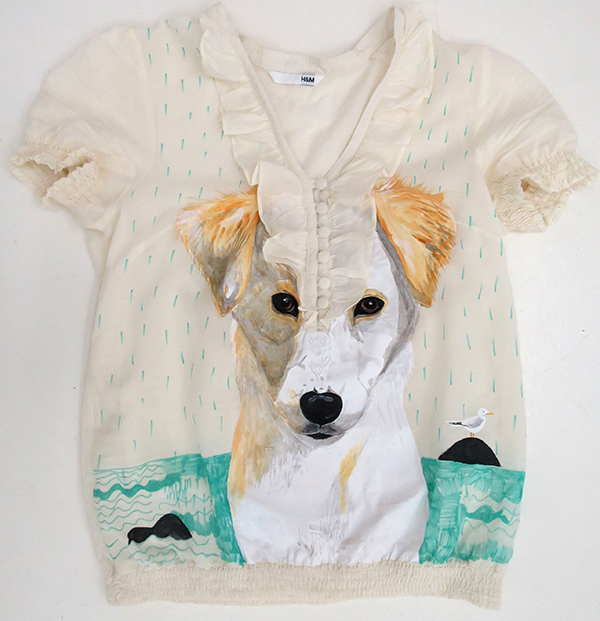 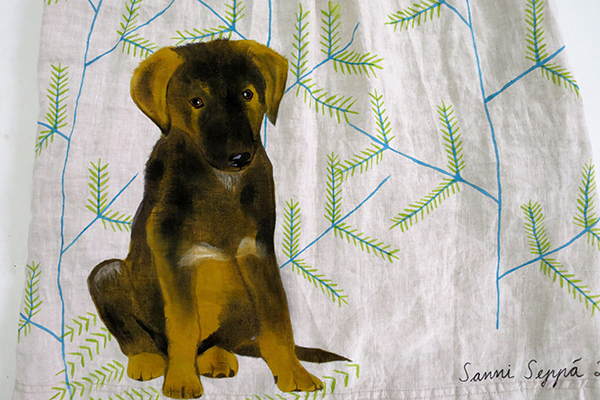 All the profits from unique paintings of Romanian stray dogs on clothing were directed 100% to the street dogs sterilization and medical expenses in Romania. 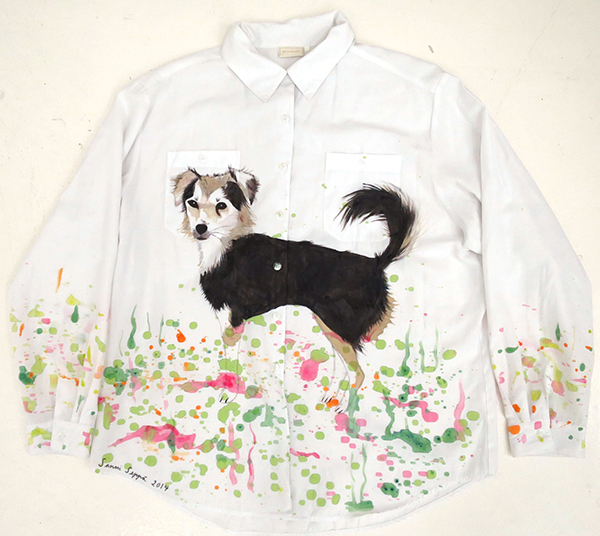 The artworks were sold in auction. 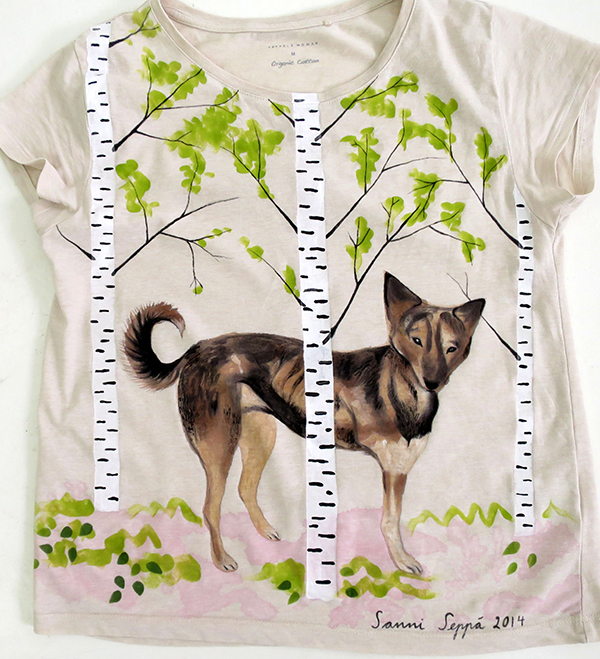 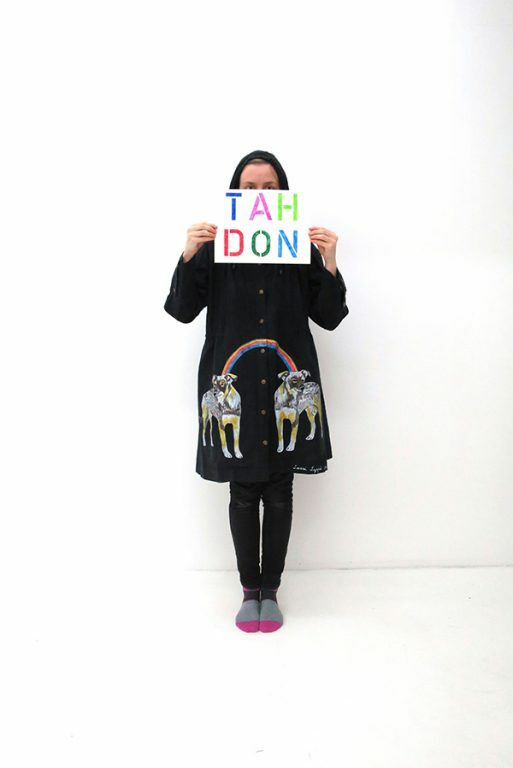 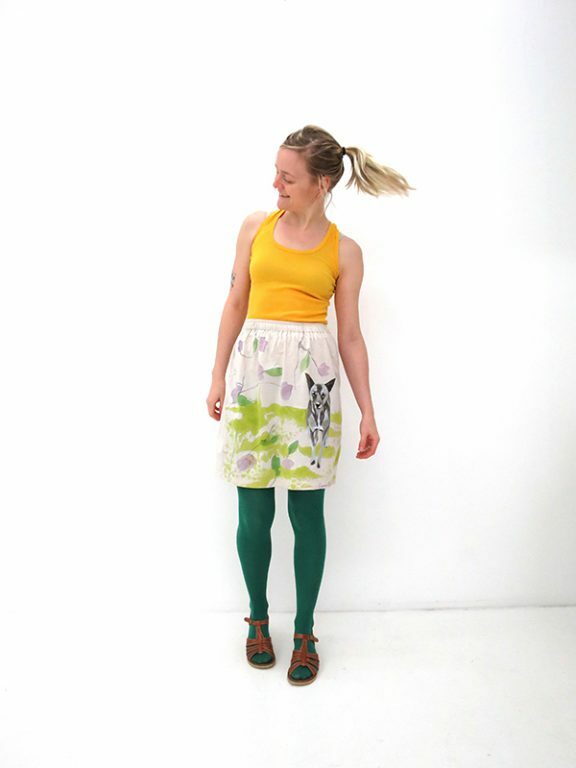 The project was supported by The Finnish Cultural Foundation and Arts Promotion Center Finland.